There are many way to present photographs and videos, but possibly none are so striking as creating a slideshow or a presentation that contains them. 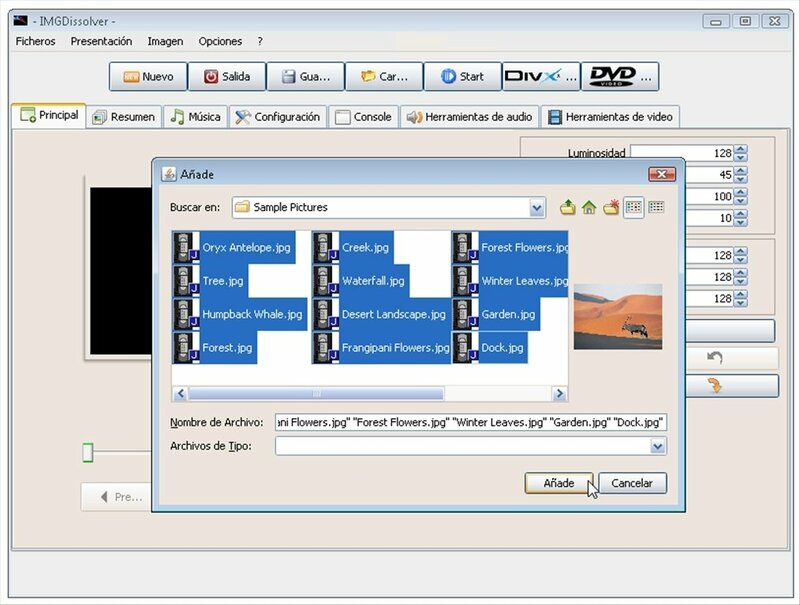 IMGDissolver is a software program that allows to create photographs slideshows in various formats like DivX or directly in DVD, in such a way that it will be possible to easily store them, give them format or show them. Add background music to liven up the presentations. 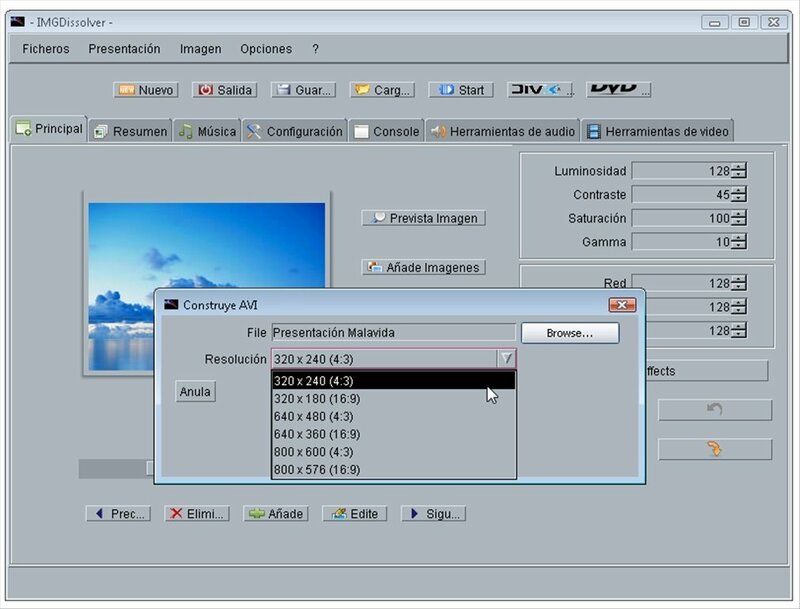 Export your work in DivX or DVD format. Add legends to the images, in any location and using a large variety of fonts. Support for various video formats. Allows the possibility to link MP3 files, record voices or convert audio to that format. Use effects like scale of gray or sepia filter. Vast amount of transition effects. 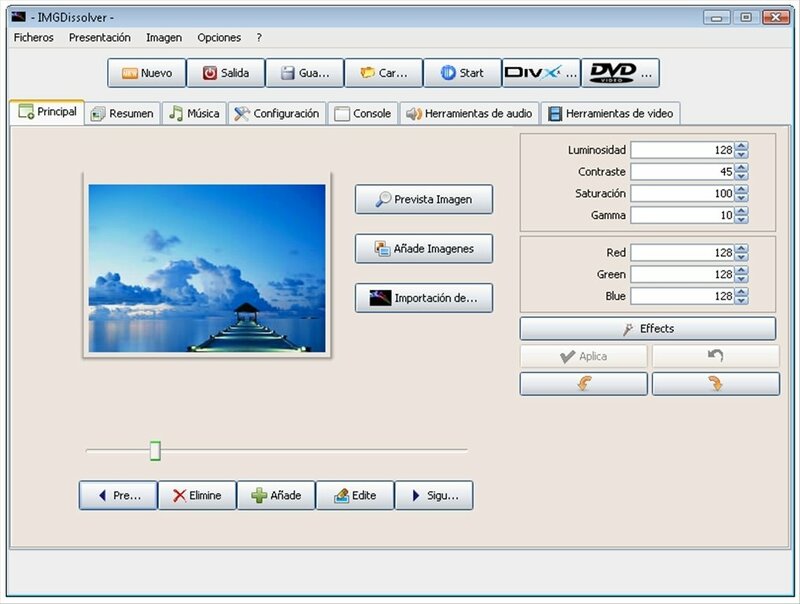 Includes tools to work with videos. Take images from your videos, edit them or convert their format. 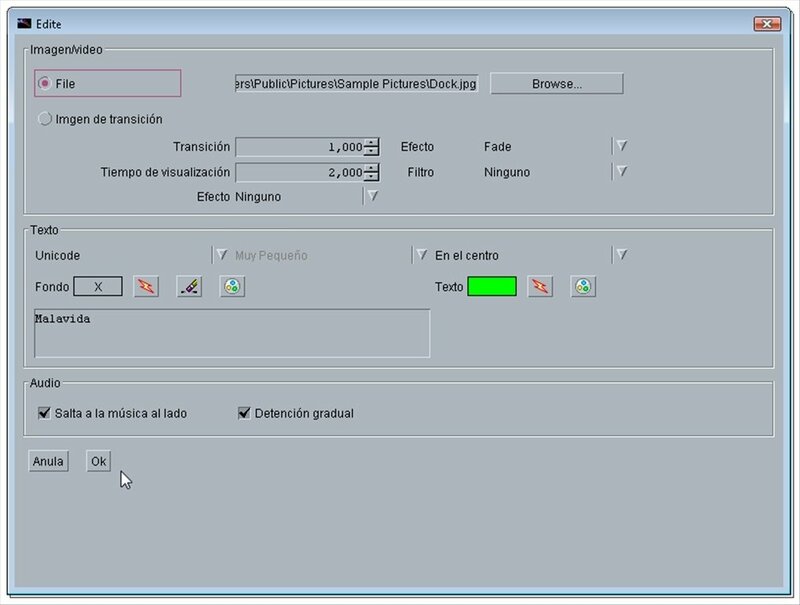 Handling it is rather simple for any user with minimum knowledge, and it also has various skins to customize its interface. Show your photographs and videos in an original way, creating a presentation once you download IMGDissolver free.